Jessica Alba looks fabulous at the City of Beverly Hills Centennial Party last week with her Tunisian Neroli Fragrance Bracelet from Lisa Hoffman Beauty! The once Dark Angel star and now mother of two rocked her style with by stacking her favorite accessories. 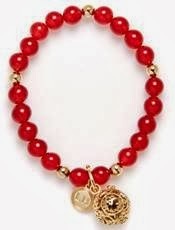 With Valentine’s Day right around the corner, this gorgeous Tunisian Neroli Fragrance Bracelet is the perfect gift. By combining a specially crafted bracelet with any of Lisa Hoffman’s six signature scents, you are sure to wow your mom, best friend, girlfriend or that special someone this Friday!